(1) It has at least two women in it, who (2) talk to each other, about (3) something besides a man. The rule works with written fiction too, and can be applied to more than just gender. For example, The Stepsister Scheme passes the test with flying colors, but if you ask whether there are at least two nonwhite characters who talk to each other … well, no. Likewise, it fails if you apply it to visibly lesbian/gay characters. 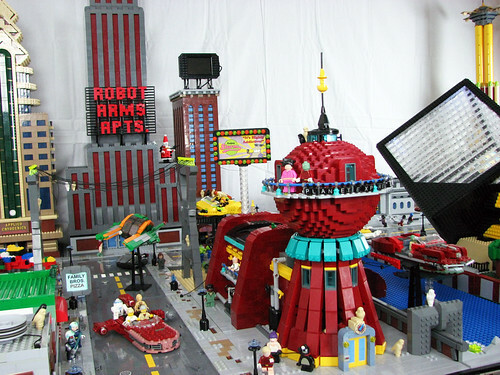 Red Hood’s Revenge, on the other hand, passes all three of those permutations of the test. Yay, I win at Bechdel, right? Now let’s time how long it takes someone to point out that the series fails the test miserably when applied to men. There are more than two male characters, but I don’t know that they ever talk to one another, and if so, I doubt it’s about anything except our heroines. So does this mean I should add a pair of male sidekicks? Maybe goblin males, who can chat about the finer points of barbequeued knight? The armor holds in the juices … okay, actually that sounds like fun. But I’m gonna say no. The point isn’t that a “good” story must be like Noah’s ark, having at least two of every character variant. To me, the test is a way to illustrate how few stories actually have multiple female characters, and if so, they’re often present simply as “accessories” to our male heroes. It’s an awareness thing. It’s something I think we need to be more conscious of, both as readers and as writers. 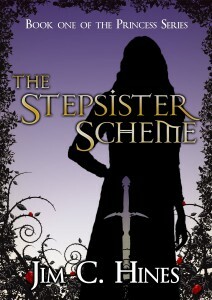 Stepsister Scheme has only a single non-white human character. Was that a deliberate choice, or did I simply use white as the (lazy) default? Was I wrong to make them white? Should I have made them black or Native American or Inuit or something else? Not necessarily … there might be valid reasons why most of the zombies in that situation and location would be white. But as the writer, that should have been a conscious decision on my part, not a default. 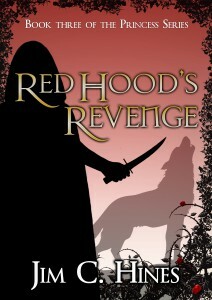 This is your official discussion post for Red Hood’s Revenge [B&N | Mysterious Galaxy | Amazon]. It probably goes without saying that there will be spoilers in the comments. Red Hood’s Revenge: Out Today!!! Jim is on vacation this week, and is blogging from the past! He has very little Internet access, but will read and catch up on comments eventually. Please feel free to comment and tell him what the future looks like. Happy book day to me!!! 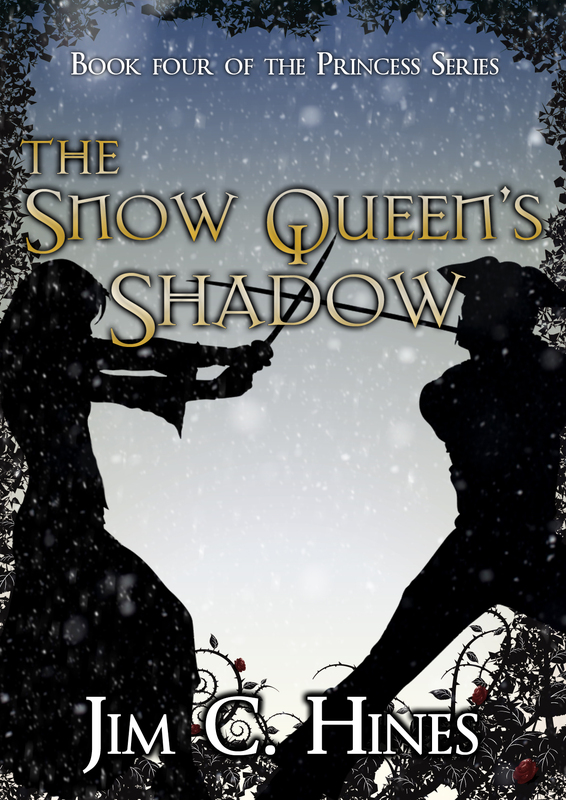 Today marks the official release of Red Hood’s Revenge [B&N | Mysterious Galaxy | Amazon], the third book in my princess series. Pass it on! Normally I try not to go overboard with my own book promotion here. From reading other people’s blogs, I know a little goes a long way, and it’s easy to get carried away. 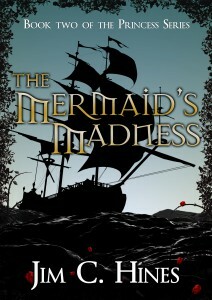 But when a new book comes out, I give myself permission to celebrate and promote for a few days. Where and when should people buy my books? Different authors will give you different answers to this question. Mine is pretty straightforward: if you want to buy my books, do so wherever it’s convenient for you. I get the same royalty whether you buy from Amazon, B&N, or your local independent bookstore. Technically speaking, for things like making the Locus Bestseller list, there are certain stores where sales are weighted more heavily than others … but you know what? That’s not your problem. I’d love to make the list again, but I’m not going to try to force it by sending everyone out to a specific list of stores. As to when people should buy? Again, I’m going to say you should buy it whenever you like. Early sales are important, don’t get me wrong. The more the books sell in these first weeks, the more likely the stores are to restock. Not to mention it makes my publisher, my agent, and me happy to see those big early sales numbers. But it’s up to you. I know not everyone who reads my blog buys my books, and that’s fine. And I’m not going to insist you all run out today to pick up your copy. So tomorrow my family heads north for vacation. We’ll be gone for a week … the same week that Red Hood’s Revenge [B&N | Mysterious Galaxy | Amazon] comes out. This is going to be interesting. Han Solo: Good book? You’ve never heard of Red Hood’s Revenge? Han Solo: It’s the book that made the Barnes & Noble Top 10 in less than twelve parsecs. It’s outclassed Imperial bestsellers. Not the lauded self-help junk, mind you, I’m talking about the big NY Times hits now. It’s good enough for you, old man. I hope people enjoyed these giveaways. I had a great time reading all of your entries. It’s strange to think I’ll be away, with little Internet access, on my release day. How will I obsess over my Amazon ranking? How will I scour the net for reviews? (Okay, so I’ll probably make my family drive into town on Tuesday so I can get online at least once via the wireless at Subway, but still.) It’s going to be hard. 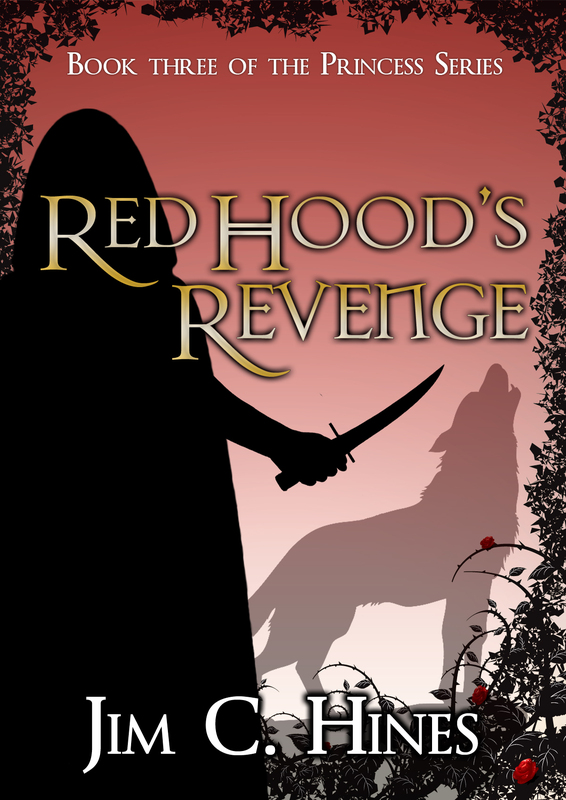 Only one week until the official launch of Red Hood’s Revenge [B&N | Mysterious Galaxy | Amazon], though the book is already showing up in a fair number of bookstores. I’ve been counting down to the release by giving away a free book each week. Congratulations to last week’s winner, Katherine O’Kelly.